Encouraging individual healing through time-old techniques. The synergy of all four elements of MAYE counteracts the effects of trauma by nurturing and promoting each of us on a journey to a renewed life. helps people, especially youths, nurture their mind and body and spirit. This starts the journey to get to know the self and willfully mold their own characters. Yoga is a gateway to discover the body and mind connection and improve physical health for mind and spirit wellness. connects the people with their environment and the scientific laws of oneness and connection with our environment. People, especially youth starts to develop perceptual knowledge of their academic learning and the natural cycle of life and self. From the garden they learn to honor their spirit, mind and body through conscious choices of what to grow according to the cycle of seasons, to eat organic healthy and locally grown produce, and gain self-empowerment through skills and knowledge to grow their own food and control their own health and well-being. 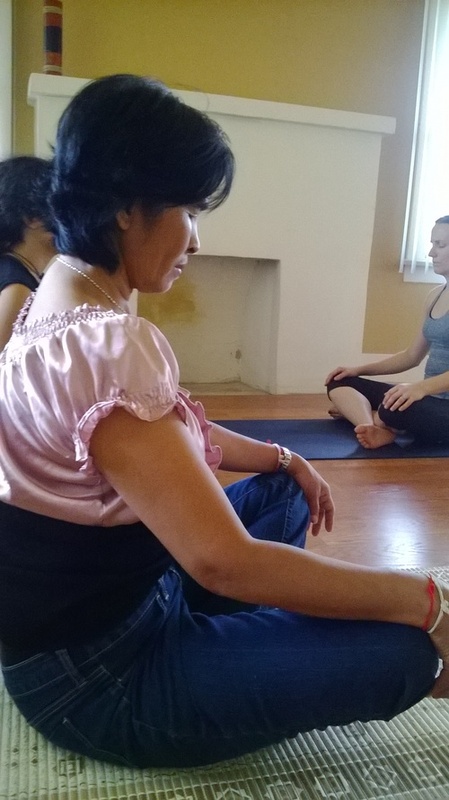 the unification of body, mind and spirit through the practice of conscious breathing and mindful exercise. Reduce stress and promote relaxation. is rooted in perceptual knowledge of self, community and the universal laws and science. Many older Cambodians came from a country that lacked a real education system. The MAYE Center offers through its education classes offers both a platform for learning and a wide range of educational topics. Youth, born or raised here reach a point in life of self and scientific confirmation of what they are learning in school and start to develop perceptual knowledge through direct experience. The youth start to develop connection with their parents and ancestors as they learn of history and cultures and the overall generational gap is reduced. The youth develop and integrate their cultures (ancestors and theirs). With these elements, MAYE helps heal communities one moment at a time.